Chinese New Year: Do Global Brands Get it? Chinese New Year has become an event global brands can’t afford to miss. It’s the longest Chinese holiday – a prime time for brands to get their message across to the Chinese market and wider APAC region. It’s a complex festive period from an outsider’s perspective, with rituals and symbols that may vary from one region to another. China is fragmented culturally, with 56 ethnicities and a multitude of languages and dialects – which is why it’s so important for brands to do extensive research before launching a campaign for Chinese New Year, or for any other Chinese event for that matter. So before jumping onto the New Year bandwagon, it’s crucial for marketers to grasp the true spirit of Chinese New Year – it may have taken a commercial turn in recent years with the emergence of the Chinese middle class, but Chinese New Year is still very much about family and traditions. Every year, all over China and neighbouring countries people travel to their families for the traditional New Year Dinner, causing the world’s largest annual human migration. And so begins the Spring Festival – 14 days of celebrations and superstitions to usher out the old year and bring luck into the new one. Parades, fireworks, dumplings, red clothes and red decorations are among the rituals that punctuate it. Gifts are offered and children receive money in a red envelope as a symbol for prosperity. With each new year comes a different zodiac sign; 2019 will be the year of the pig. Every animal sign has special characteristics that may go against a westerner’s preconceptions – for instance the rat is among the most revered signs. Like any family holiday, it can also be a time of stress – not least of all for unmarried people, who are pressured into tying the knot, with some resorting to hiring pretend boyfriends or girlfriends to get some peace. References to local traditions or customs can be a good way for global brands to touch local audiences – however, if tradition is distorted or symbols misappropriated, what may have initially been well intentioned can easily backfire. Everyone remembers the Dolce & Gabbana chopstick fiasco last year. 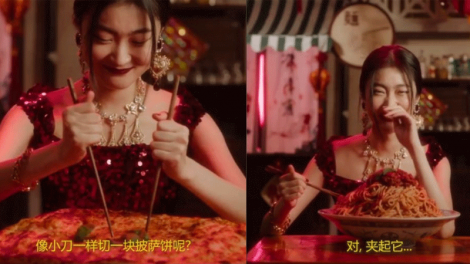 For those that don’t – the ad depicted a Chinese woman attempting to eat a pizza with chopsticks, to the dismay of the Chinese audience who were quick to express their outrage on social media and boycott the brand. More than just the shocking ignorance of the people that created the ad, this incident sheds light on the inherent stereotypes that are carried from colonial times and can easily seep into a creative concept, should we not be aware of this unfortunate tendency. The recent campaign by Burberry is a good example of a global campaign failing to understand Chinese New Year. Released early January 2019, Burberry’s attempted modern nod to the traditional Chinese family portrait, was met with such mockery on Chinese social platform WeChat that the campaign was pulled immediately. Burberry failed to convey the spirit of the Chinese New Year, a time of optimism and joyful family celebrations, but instead published a rather austere family portrait, judged ‘creepy’ by online commentators. Thankfully, some brands have succeeded in capturing the traditional, family dimension of the Chinese festival. Apple released a 6-minute long ad very much focused on family nostalgia. Titled ‘The Bucket’, the ad is a heartfelt narrative about a mother reaching out to her son who lives far away, to convince him to come home for the New Year because, well, nothing feels quite like being home. The 2019 Coca-Cola campaign proves that brands can be relevant today and find inspiration in tradition. The story features traditional clay dolls keen to spread the message that good fortune can only start with family love. For this campaign, running across traditional and digital media, Coca-Cola has partnered with e-commerce giant Alibaba to create an activation which allows people to send each other gifts containing the clay doll characters. Skittles also brings the family to the fore in a more subversive way. With their latest ad, they highlight the social awkwardness some family gatherings can bring. Playing the part of the family teenager, a Chinese pop star rebels against his uncle who keeps asking him embarrassing questions. He engages in a rap battle with said uncle, much to everyone’s astonishment. Tap into new consumer lifestyles: to leverage the Chinese New Year opportunity brands should look for ways to apply traditional sentiments of the festival to contemporary consumer drivers. Play on key characteristics of the animal. Simply pasting cute pig images on your product or marketing communications won’t cut it. Instead, brands should look for ways to harness the characteristics of the animal and translate these into product design and marketing communications. Target travelling consumers – in China alone, total retail sales for Chinese New Year exceeded $133bn over six days in 2017, according to data from IGD, but this opportunity extends so much further. Marketers should look at travelling Chinese consumers as well as Chinese communities living abroad. Lengthen Chinese New Year campaigns and product sales – look for ways to build anticipation in the lead up to the festival and prolong engagement in the weeks after. Want more global marketing tips? 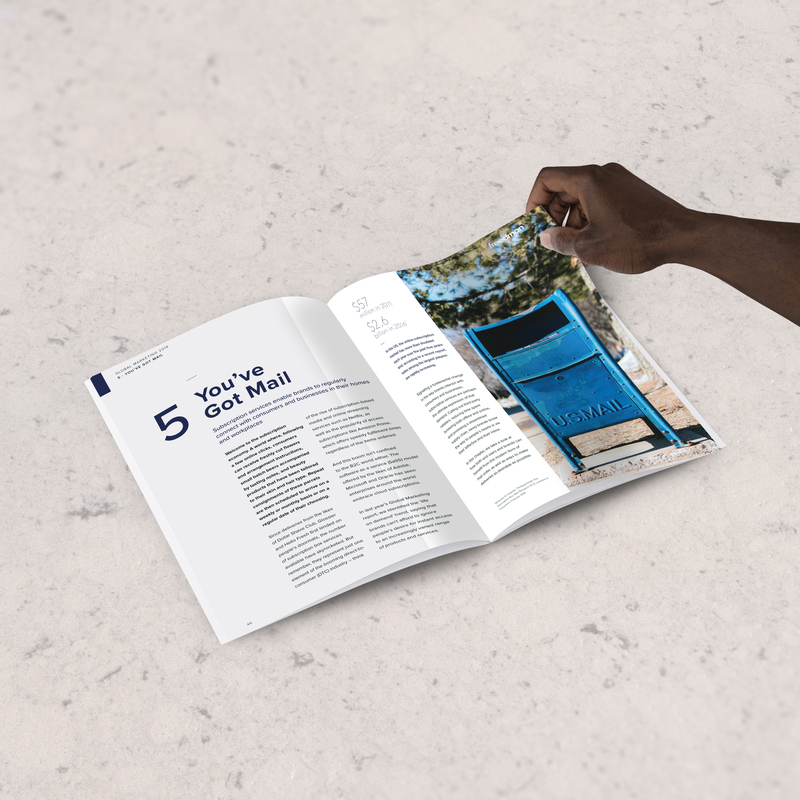 Download our 2019 Global Marketing Trends. Super Bowl: which trends scored a touchdown?